6 Days Tanzania Tours is a suggested or sample Tanzanian Safari Itinerary, it can be adapted to suite your own personal needs and preferences or to any seasonal changes and migratory animal movements. 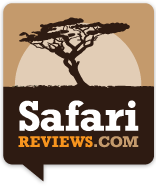 As with all our Tanzanian Africa Safaris, Tours, Holidays and Travel Packages. Tanzania Safari Travel Costs, Please do not hesitate to contact one of our travel consultants directly, should you require any further assistance or more detailed information, regarding any of our Africa safaris, tours, holidays and travel packages. Pick up from Arusha and transfer to Lake Manyara national park, We arrive in time for lunch at the lodge and after lunch do we head into the Lake Manyara National Park for an afternoon game drive. This national park is one of Tanzania’s most dramatically located wildlife areas, consisting of a massive but shallow soda lake (covering two-thirds of the park), located at the foot of the Great Rift Valley’s western escarpment. The park’s varied habitat attracts a wide variety of animals, including one of Africa’s largest concentrations of elephants, Lake Manyara’s unique tree-climbing lions, as well as large flocks of flamingos attracted by the algae in the lake. After breakfast we head towards the Serengeti National Park, via the beautiful high lying farmland of Karatu and the Ngorongoro Conservation Area. Leaving the highlands behind, we descend into the heart of wild Africa – the Serengeti National Park – with its endless plains, rolling into the distance as far as the eye can see. We head to the central park area, known as the Seronera area, one of the richest wildlife habitats in the park, featuring the Seronera River, which provides a valuable water source to this area and therefore attracts wildlife well representative of most of the Serengeti’s species, We arrive in time for lunch and enjoy an afternoon game drive in the Serengeti national park. Be one of only a few fortunate people to glide in a Hot Air Balloon over the Serengeti Plains, available at supplementary cost by pre-arrangement. Floating silently above the awakening bush, while spotting wildlife and enjoying the amazing scenery of Africa, across rivers and over numerous small villages. We do an after breakfast game viewing drive along the Sogore River Circuit, which loops into the plains south of the Seronera River, and which is good for possible Lion, Thomson gazelle, topi, ostrich and cheetah sightings. The Visitor Center close to the Serengeti Seronera Lodge and public campsites, is well worth a visit after the morning’s game drive. This nicely designed center offers some interesting wildlife displays as well as a gift shop selling information leaflets and maps of the area. The center also has a shop where cold drinks and snacks can be purchased, as well as a picnic area and information trail up and around a nearby kopje. We will enjoy a relaxed picnic lunch at the center in the shade of the giant acacia trees. After breakfast at the lodge do we depart to Ngorongoro Conservation area. We will stopover at Olduvai Gorge, boasting with a history dating back to the dawn of time. It was here, that the anthropologists Dr. Lois and Mary Leakey discovered the skulls of ‘Nutcracker Man’ and ‘Handy Man’, both very significant links in the chain of human evolution. 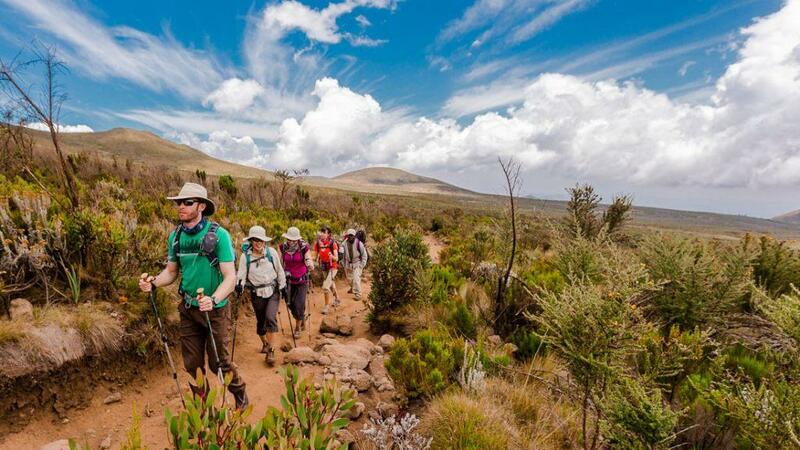 We arrive in time for lunch at the lodge and after lunch we will descend over 600 meters into the crater to view wildlife for a half day’s safari tour. Supported by a year round water supply and fodder, the Ngorongoro National Park supports a vast variety of animals, which include herds of wildebeest, zebra, buffalo, eland, warthog, hippo, and giant African elephants. Another big draw card to this picturesque national park, is it’s dense population of predators, which include lions, hyenas, jackals, cheetahs and the ever-elusive leopard, which sometimes requires a trained eye to spot. We will visit Lake Magadi, a large but shallow alkaline lake in the southwestern corner, which is one of the main features of the crater. A large number of flamingos, hippos and other water birds can usually been seen here. After breakfast we depart for the Tarangire National Park. The park runs along the line of the Tarangire River and is mainly made up of low-lying hills on the Great Rift Valley floor. Its natural vegetation mainly consists of Acacia woodland and giant African Baobab trees, with huge swamp areas in the south. Both the river and the swamps act like a magnet for wild animals, during Tanzania’s dry season. The Tarangire National Park is reputed to contain some of the largest elephant herds in Africa. This African national park is also home to three rare species of animals, the Greater Kudu, the Fringed eared Oryx, as well as a few Ashy Starlings. After a picnic lunch we do an afternoon game drive. We enjoy an early morning game drive in the Tarangire National Park, followed by breakfast at the lodge. We will then transfer back to Arusha. Upon arrival in Arusha will we have lunch and then we will end our Africa Safari Adventure. The group should tip the guide around $20 a day. You will be taken to your hotel, which ends our safari services.